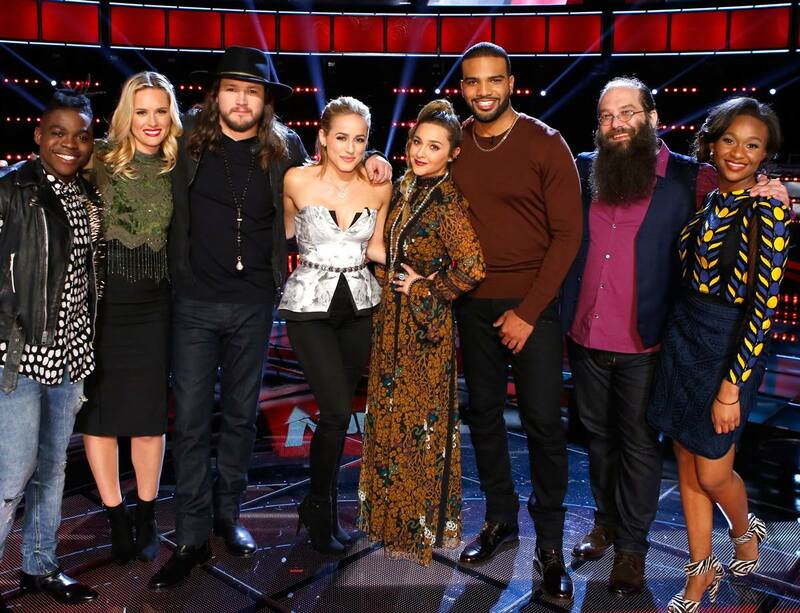 Last night, The Voice: Season 10 semifinalists fought for a place in next week’s finale! At stake, a recording contract with Republic Records and the chance to join Cassadee Pope, Tessanne Chin, Josh Kauffman, Craig Wayne Boyd and Jordan Smith in the winner’s circle. After catching up with the coaches, Carson began to reveal the important results. The first finalist that made it to next week’s finale was Team Blake’s Adam Wakefield! While Alicia left the stage, the show showed bloopers from Pink’s visit with the Top Eight. I hope that Pink joins The Voice family during Season 12 (with Xtina as a co-coach). Meanwhile, Carson revealed that the next artist that was voted through to the finale was Team Christina’s Alisan Porter! This marked the first time in three years that the Queen of The Voice will have a contestant in the finale, but it could also be the first time that Team Xtina wins the whole thing? This fanboy hopes so! OneRepublic (lead by potential Adam Levine replacement Ryan Tedder) took to the stage to premiere their new single: “Whenever I Go.” It is a very catchy song, and I cannot wait for the band to drop their new album this year. As Carson teased the audience with the hope of new OneRepublic music in the fall, he also revealed that the last artist that made it to the finale was HANNAH HUSTON! Talk about an amazing turn of events! Congrats to Hannah and Pharrell! With three artists and three coaches confirmed for next week’s finale, it was time to learn the Instant Save candidates. Team Blake’s Mary Sarah, Team Xtina’s Bryan Bautista and Team Adam’s Laith Al-Saadi were the final three that will fight for the final Instant Save. The final recipient of the Instant Save and the last finalist was LAITH AL-SAADI! With Laith’s save, this marks the first time since Season Two that all four coaches will have an artist in the finale! Next week, The Final Four fight to become the tenth winner of “The Voice”!